October 10th is ‘College Board Day’ at Siuslaw High School. In an effort to increase opportunities for students and direct services for families, Siuslaw High School is announcing the first annual ‘College Board Day’. Millions of students across the nation take the Scholastic Aptitude Test (SAT) each year as a measure of academic readiness for college. 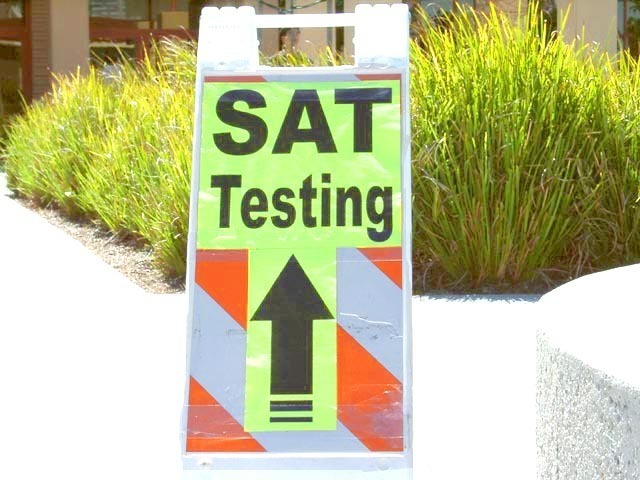 In the past, the College Board has only offered the SAT on Saturdays at a variety of high schools and college testing sites. Many Florence students have had to travel for hours to reach an unfamiliar site to take this comprehensive exam. To allow students to have the best possible environment to take the SAT, the College Board is now allowing mid-week testing for students in the own high schools for the first time this year. Every Siuslaw junior or senior that registered for the SAT is able to take the test at no cost using a portion of the district’s High School Success funds from the Oregon Department of Education. The majority of Siuslaw juniors and seniors registered for the SAT. This test will be administered for free, a savings of over $60 to families. The SAT takes about 4 hours and will run until approximately 1:15 pm. At the conclusion of the test, lunch will be served on campus and then those students will be released for the day. Students that do not drive or are without a ride home at 1:15 pm, will be able to ride the buses at the regularly scheduled times and can remain on campus until the regular bus run. Sophomore students will be taking the preparatory college entrance exam, the PSAT. This test takes roughly 3 hours and should end near 12:00 pm. PSAT students will be dismissed at the end of the test for lunch and then released for the day to catch the first bus run at 12:30 pm. Freshmen students will be visiting the Hatfield Marine Science Center in Newport and participating in an interactive Tsunami Learning Quest. They will be leaving the high school at 8:25 am and returning at 12:00 pm for lunch and then will be released for the day at 12:30 pm. The small group of juniors and seniors not taking the SAT will be with teachers in a study hall, focusing on make-up work or other school projects. This group of students will be dismissed for lunch at 12:00 pm to catch the 12:30 pm buses with the sophomores and the freshmen returning from the Tsunami Learning Quest. A monitored study hall will be available for any student that needs to remain on campus to wait for the regular 3:10 pm bus run so they can ride with younger siblings or stay until after school activities and practices begin. Thursday, October 11th will be a regular 7 period day and Friday, October 12th there will be no school for the state-wide inservice day.